State universities in Pennsylvania could soon get a front-row seat on the Marcellus Shale industry. The state House passed a bill Tuesday allowing the state to lease mineral rights on some state-owned lands, allowing for natural-gas exploration, coal mining, and quarrying limestone around universities, prisons, and other state institutions. The Senate had previously approved the legislation. Supporters of the Indigenous Mineral Resources Development Act said it will provide new revenue streams for state agencies. Some of the funds will be set aside for scholarships. Rep. Greg Vitali (D., Delaware) said state institutions were forced to support the bill because they are desperate for funds after their budgets were cut. "My feeling is that college campuses are improper places to drill," said Vitali. "A highly industrial activity is not conducive to a learning environment." The House approved the bill by 136-62. The Senate approved it in June by 46-3. Gov. Corbett, who endorsed the bill last year, is expected to sign it. Several agencies such as the Department of Conservation and Natural Resources, Game Commission, and Fish and Boat Commission are already allowed to enter into leases for resource development. Those arrangements are unaffected by the new bill. Half of the fees and royalties generated by leases of State System of Higher Education lands would be retained by the university where the resources are located. Thirty-five percent would be allocated to other state universities. The remaining 15 percent would be used for tuition assistance at all 14 schools. For nonuniversity leases, 60 percent of the revenue would be allocated to the Oil and Gas Lease Fund, which supports conservation efforts. The Pennsylvania Infrastructure Investment Authority would receive 25 percent of the funds. The host agency, such as the Department of Transportation, would receive 15 percent. "This distribution formula provides equitable funding and promotes our efforts to maintain and improve Pennsylvania's environment and infrastructure improvement efforts," said the bill's principal sponsor, Sen. Don White, a Republican whose district includes Indiana University of Pennsylvania. The law gives the Department of General Services the option of leasing the land, and does not force the state to lease. It's unknown how much land might be leased or how much potential revenue could be generated. But several universities are directly atop the Marcellus Shale, whose rich natural-gas resources have set off a drilling boom that prompted the legislation. Mansfield, Lock Haven, Indiana and California Universities are directly over the shale, and Clarion and Slippery Rock are on the edges of the Marcellus. Jeanne Clark, a spokeswoman for the advocacy group PennFuture, said the organization had lobbied for inclusion of a provision that requires university presidents to approve mineral leases on their land. But Vitali said the provision was a weak protection because state university presidents report to boards dominated by gubernatorial appointees, and Corbett has stated his support for on-campus drilling. Supporters note that drilling is taking place beneath university campuses in Texas and Oklahoma as well as other public lands like airports, state forests and rivers. 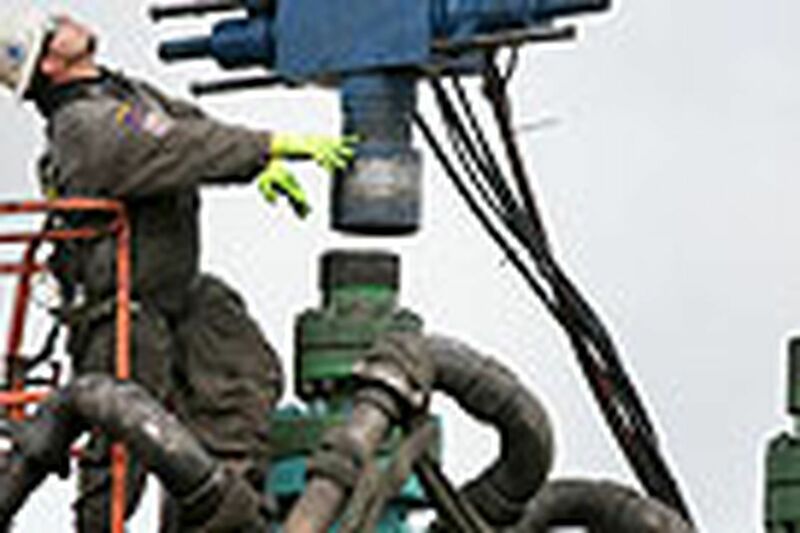 With the advent of horizontal-drilling techniques, gas developers can access the deep shale from remote drilling pads and well bores that reach laterally a mile or more underground. Corbett was ridiculed by environmentalists when he proposed the leasing arrangement last year, though he called drilling on campuses a "commonsense" move.